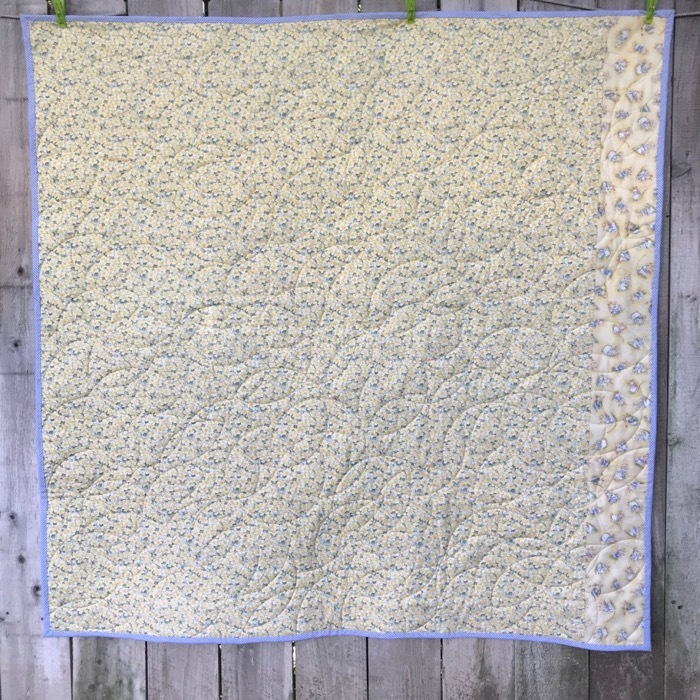 French General fabrics | OccasionalPiece--Quilt! 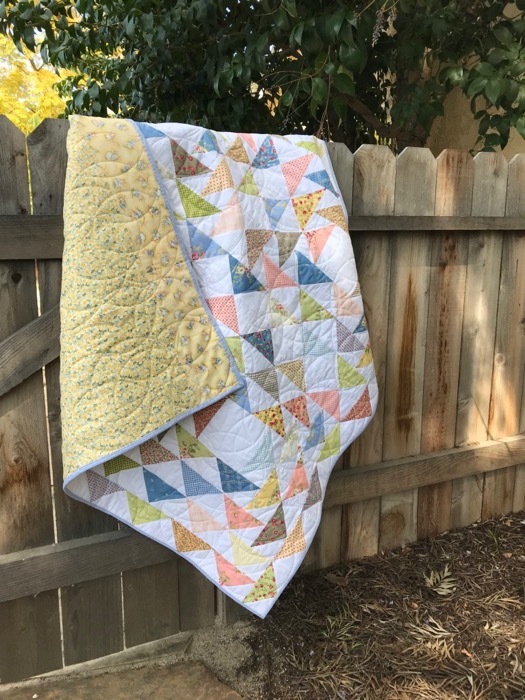 Posted on April 19, 2018 by Elizabeth E.
Thank you to all who entered the giveaway for Simone’s stack of fabrics. The info about that is at the end of this post. 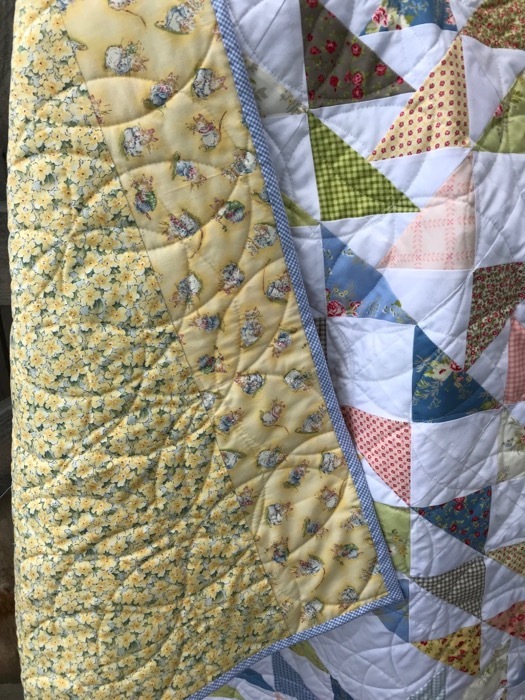 Maybe I named it that because I forgot to put on the final 3″ plain white border, and only realized this after I finished the quilting (so now it only measures 45″ square). 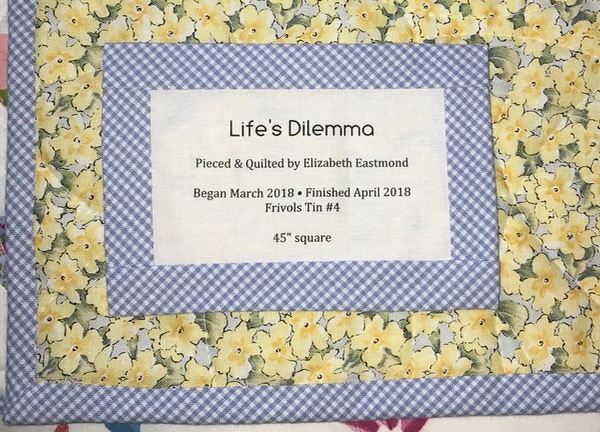 Maybe I named it this because two people stopped me in the hallway at church to talk about their divorces (one just starting, one wrapping up), and the design of this quilt made me think of that type of a maze. 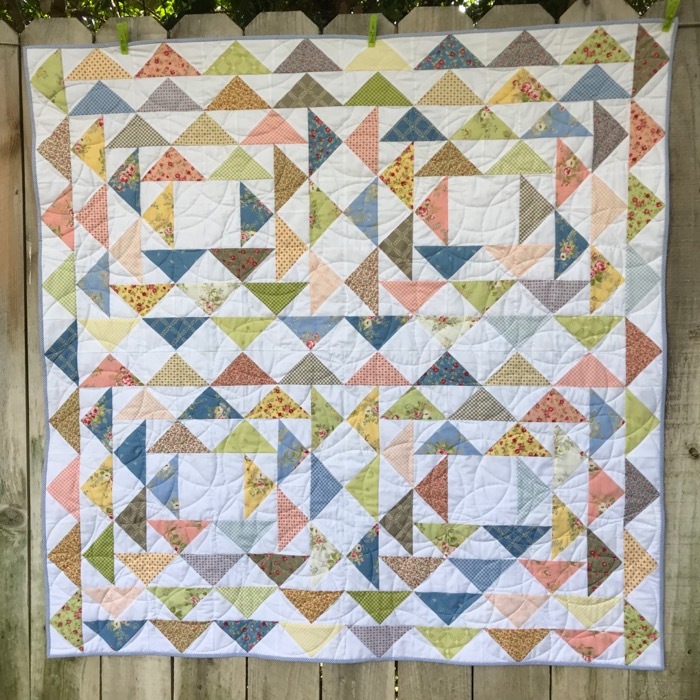 But maybe I just was thinking about how simple, yet complicated life’s choice can be… that way leads on to way, and this quilt reminded me of pathways, both obvious and hidden. I decided to quilt this using my new circles rulers. I placed it in the middle and put my quilting needle INSIDE the circle, started it and kept going. When I finished the circle, I pivoted it it somewhere else, working my way to the outer edges, trying for coverage, but also trying really hard not to make it feel like work. I wanted to just play with this. So now I have another X on my circle of tins: four down and eight to go. Progress. Which is the name of the game at my house. Congratulations, Ellie! Ellie is a faithful reader of this blog, and I’ve appreciated all her nice notes, so it was great to see the Random Number Thingie pick her. 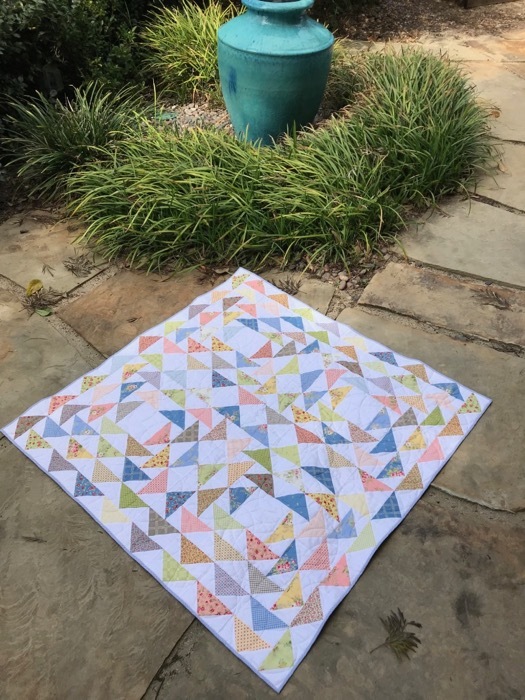 When I was running this at first, I was perplexed, because I show more comments than 80, but when I went back through to read all these interesting and wonderful comments about placemats, not all were “comments” for the giveaway. Eighty unique and individual comments were left. If you didn’t win, you can buy the stack of fat quarters directly.